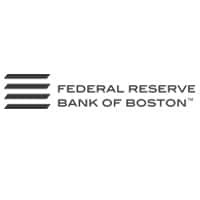 The Federal Reserve Bank of Boston has published a summary of a June meeting of its Mobile Payments Industry Workgroup (MPIW) that sets out a number of reasons why NFC has not yet taken off in the US. It also suggests actions the workgroup could take to increase the adoption of contactless mobile payments. Participants from Verifone, Sequent, NCR, Ingenico, Giesecke & Devrient, and Gemalto took part in panel discussions during the meeting. Sessions were moderated by representatives of Loop and Validity. The technical complexities of the NFC secure element and implementation costs need to be resolved. The mobile payments industry needs to ensure that the ecosystem is secure. While encryption is a strong, hardware-based approach, any security solution must consider what is best for the overall user experience. The industry needs to launch a coordinated education and awareness campaign to encourage consumer adoption of mobile contactless payments in the US. The panel advises it to look at why contactless cards failed in the US and to fix those issues that are relevant to mobile contactless payments. Providers need to help issuers and merchants understand the business case for adopting contactless mobile payments and the benefits — such as higher checkout throughput, convenience, enhanced security, increased sales, greater volume and loyalty. The industry would benefit from standards or guidelines for certain areas to improve the process and level the playing field. Security standards that are device-, technology- and solution-agnostic and supported by all stakeholders are a priority. “Fragmentation in the mobile payments ecosystem and little traction with any one mobile platform continue to drive many industry stakeholders to experiment with multiple technologies because they do not know which solution will ultimately prevail,” the report says. “NFC is still struggling because its value proposition to incentivise consumer adoption for mobile beyond payments is unclear. “While NFC solves larger, complex and more critical problems,” it adds, “it has yet to demonstrate how it will enhance the user experience at the POS. According to some marketing experts, for NFC to stand out against competing solutions, providers have to incentivise consumers to pay using an NFC-enabled mobile phone at least once a day. “To accomplish this, they need to transform the overall payment experience by integrating new capabilities that the mobile phone offers into the payment/purchase process. Because adding mobile payments to the POS infrastructure requires merchants to make considerable investments, they want to know the potential for value-added services.